President Barack Obama has refused to sign the permit needed for Keystone XL construction to begin. TransCanada is asking – yet again – for President Obama to approve the Keystone XL pipeline, this time because of new climate friendly policies enacted by Alberta’s new socialist NDP government. “We are asking the U.S. State Department to consider these recent developments that add to the abundance of evidence already collected through seven years and 17,000 pages of review that Keystone XL will not ‘significantly exacerbate’ greenhouse gas emissions,” Alex Pourbaix, TransCanada’s president of development, said in a statement last week after sending a letter sent to Secretary of State John Kerry and other U.S. officials as the U.S. regulatory process nears its seventh anniversary. 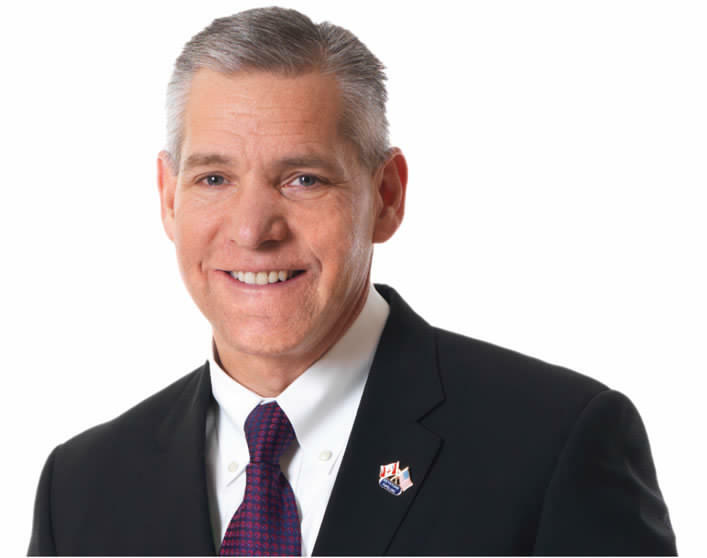 TransCanada CEO Russ Girling should just stop asking, already. Barack Obama is never, ever, in this lifetime going to approve Keystone XL. Never mind that Premier Rachel Notley’s government said it would ratchet up emission reduction targets for large industrial emitters and double its carbon price for those that exceed their allotment. Or that the Canadian government backed a G7 agreement to “decarbonize” the economy by 2100 by cutting national greenhouse gas emissions by 30 per cent below 2005 levels by 2030. The fact many large Canadian oil companies – Suncor and Cenovus among them – now favor a carbon tax? Means nothing. Obama has staked his legacy on tough environmental policies. He has described Alberta oil sands operations as an “extraordinarily dirty way of extracting oil.” The truth is that industry says oil sands bitumen is nine per cent more carbon intensive on a well-to-wheels basis, while most analysts says it’s 12 to 15 per cent higher. There is plenty of oil produced in the USA – hello, California – and refined in Texas – take a bow, Nigeria – that is as “dirty” or dirtier than Alberta bitumen. He has claimed most oil carried by Keystone XL will pass right through the United States and never be refined there. But energy consultants IHS have estimated that 70 per cent of that refined product will remain in America. And let’s not forget Gulf refineries need Alberta oil sands crude. There is 2.7 millions b/d of heavy crude refining capacity on the Gulf Coast that has been supplied by Venezuela, which is now shifting exports to China. We could go on, but what’s the point? Obama’s arguments may be flimsy, but he holds the executive pen. And the president has little incentive to sign the cross-border permit, especially now that we’re in the run-up to the 2016 election and the Republicans have helped make Keystone XL such a high profile issue. I’ve written before that the only way to get Obama to change his mind is to give him something he wants. That isn’t likely to happen. John Boehner and the GOP are as dug into their position as Obama is his. 2017 will come soon enough. 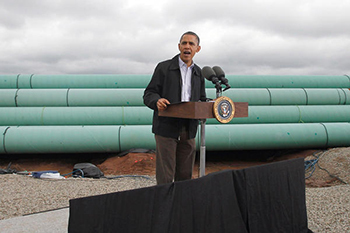 Keystone XL will face either a project-friendly Republican president or perhaps a Democrat less captive to Big Green. Even Hilary Clinton has said that if America is going to use dirty oil, it may as well buy it from Canada, its most dependable ally and biggest trade partner. Notley has said she’s not going to waste time lobbying for Keystone XL because it’s ensnared in domestic American politics. Girling and TransCanada may as well adopt the same attitude. Nothing is changing for the next 18 months.